(Noted as at Luss; location cited as NN 312 045). 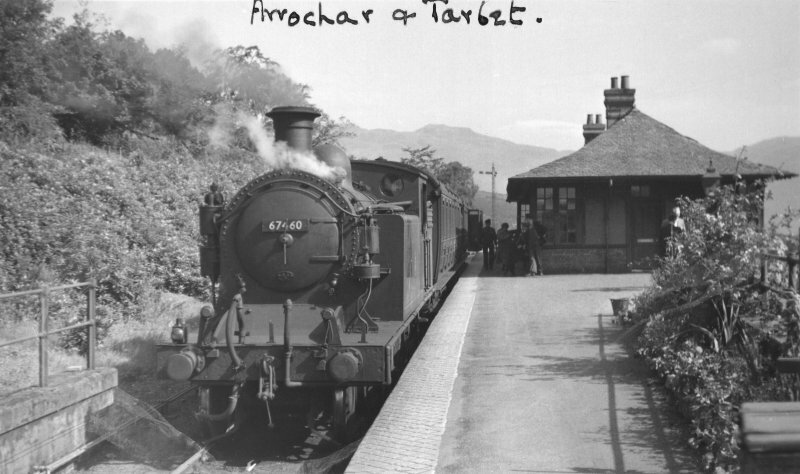 Arrochar and Tarbet Station, opened 1894 by the West Highland Rly. A standard West Highland island-platform station, with brick and wooden one-storey building, approached by a subway. This intermediate station on the Glasgow - Fort William route (the 'West Highland line') route of the (former) North British Rly opened on 7 August 1894 by the West Highland Rly. It remains in reguular use by passenger traffic, although the ambitious commuter service for which the station was intended ceased in 1964. The station is of standard West Highland Rly 'island' pattern with a single-storey signal box. 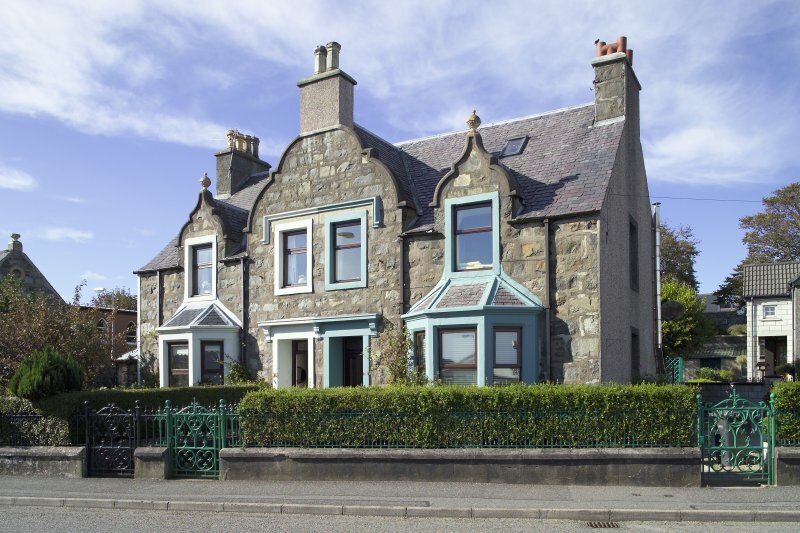 As at Ardlui (NN31NW 15), pedestrian access is gained by an impressive subway which terminates in red sandstone or concrete coping with ornamental railings. The goods yard closed on 1 November 1966 and is now a car park. Information from RCAHMS (RJCM), 20 November 2000. Originally names Ballyhennan, opened (West Highland Railway) 7th August 1894.